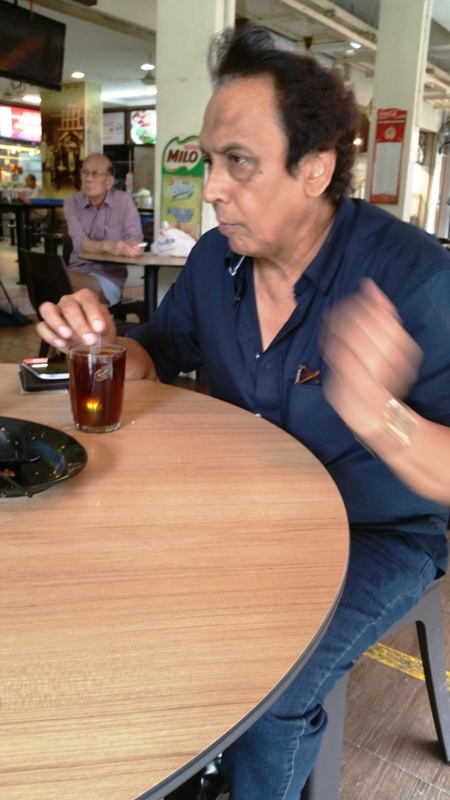 Those drinking kakis of his should attend his funeral. and if only knew how the gals crave for him! Epitaph for a great steward and his iconic life.Not gay but good taste with a Beaujolas in his hand. 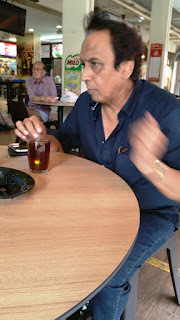 If Ifm passes would we able to praise how many biased checks done,how many sacked by the acts,how many brillant acts of humanity done as per the Bible.Or materialistic like how much money per inflight ifa versus the junior crews effort and staying in condos versus hdb.Humility and doing good for juniors when they did the right thing and observant to situation.Not gourging to FC class food and other acts of goodness.If you did not done these you are excluded and obviously does not refer to you.Remember someone have to say nice things on the passing,RIP for those short of good deeds and longer Eulogies and much longer days.Fyi more eyeballs means longer and more hits by ads so it helps alot,but counterarguments is good.Pam if its you,God Bless. A man of courage who spoke his mind. His grooming was always a high standard. By the way was he part of the gang of eight? Remember the guy who said eight people must die. Was Aloysius one of the eight? What made you think Aloysius is one of the 8? Aloy is definitely not that type. Let me fill in the blanks as accurate as possible.The case involve the LS with a baby infant when the 8 of team flying consist of ifs,cs,lss ,ls and stewards and stewardess.The matters came out of control when the 8 ,by force or coesion or as rewarded testify on against the said LS.Now if its false statement which incriminate and subsequently dismiss,it so happens that the infant passes away due to loss of jobs by father and subsequently divorce and so on.Truly unintended consequence.But then as witness etc,merely assenting and I also agree with 7 others can be easily shot down by defense lawyer if in court of law.But CI can be seen as reward if testify for long life in CC and promo as historical shiok boy case against Ravipal years ago.The LS should have ask for help in social media and crowdfund and pro bono lawyers abound.Cindy was rescue in Crime of Passion case years back by famed late defence councel.Knowing Aloysius,he would stick up a finger to such cases.Probably Sexcy and current Managers partake in such decision to sack. RIP dear Aloysius,you were one of those endearing CS I had work with during my junior days. You will be missed. May eternal light shine upon you. Amen. The above story is correct. Aloysius is not part of the 8. I have never flown with him. He has never harm me. The 8 are still alive and enjoying themselves. The 8 will come to an end. In cc it is called MOT! guy whom he claimed fixed his IFS promotion. Now we have 8 + 1 = 9! Now that its known ,dont let truth dies also.Alphonsius was denied promo due to pay per promo of Eddie Chiaklui that is the truth.And so were many others but cannot fight back then.Its talk about and unionist should stop promoting their kakis,dont blame with Caesars all over.But it cannot be erase from memories.For the LS case,legal date of tort extends to 6 years from time of torts inflicted.BT can stop the 8 case ,after knowing infant passes away,one can always regret or repent.The Court of Law here can decide on the case even though its years back.Josephus Tan can do pro bono or crowdfund,in the least a rememberance for the infant.I would.Who says CC is power ?Subash Anandan gave Cindy a second chance,but he passed.To the 8 sorry to say you made a mistake in fixing.In the end God will come to help your souls.Repent. Employee's right to terminate employment too. No need to work for employer when values are misaligned. The middle managers are accountable for cultivating misalignment. the influence and recommends who gets promoted. The first taste of politics is being beholden. Anyway, rest in peace Aloysius... you are a good man. Cheers! Mr Bojangles! Ever heard of malicious or wrongfull termination and reinstatement,loss od earnings etc.Affadavits when proven to be wrong and inadmissible and wrongly deduced can be argued in Court of Law,over whatever employer CI,final arbiter.Not a legal officer in sight of Co,the narrow windows available for those with funds,without can crowdfund witness millions raised,in this case worst infant dies in collateral damage.Doubt the 8 witness through coesion or inducement put up fake allegations.Alltogether bad judgements and in the hands of So called ward leaders or Little Caesar or Warlords leads to a runaway train of destructions.Can the 8 forsee the efects ?Dont think so,Aloy would have instantly sees through it all,situations created by the procedures in the name of service.How clean is Sexcy,divorse and a bully fooling Managers of his capability or dirty hands.Lived with a bloody hands thats all,someone got to be bad.To rise quickly one need to knife somebody,witness Shiok Boy against Ravipal aeons ago.Situations created by its own forsight or lack and disclaim responsiblity.LS concerned can give initial of the 8 and the rest can bless and pray for their souls.CC cannot take away the sins,That should make their "living it up", in CC more meaningfull.